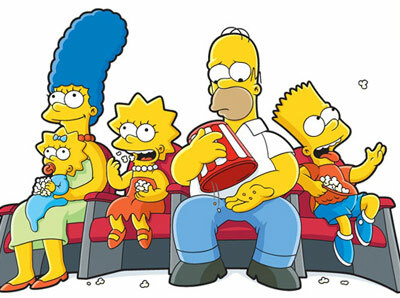 The Simpsons Movie was released on 27th July 2007, a full feature length film. The movie begins with Homer, his new pet pig, and a leaky silo full of droppings. Together, they triggered a disaster – something which Springfield has never experienced. As Marge is outraged by Homer’s monumental blunder, a vengeful mob descends on the Simpson household. The family makes a narrow escape, but is soon divided by both location and conflict. This entry was posted on Saturday, August 4th, 2007 at 6:11 pm	and is filed under Celebrity News, Movie Trailer. You can leave a response, or trackback from your own site.